What better way to begin Spring than with a fresh step in regard to finances! 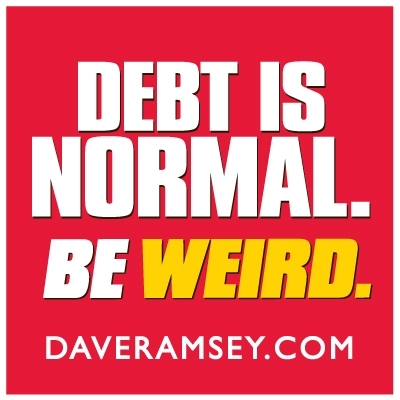 I’m sure you’ve heard me mention our financial journey with Dave Ramsey’s Total Money Makeover a time or two and the reason I want to highlight it again is because 1) I’m still proud of our accomplishment and 2) I hope it will inspire you to be a bit more wise with your finances as well. Financial freedom is truly a gift and the best part is, it’s something we each have total control over. As Dave says (in my modified version), “Tell your money where to go!” You control your money, don’t let it control you. So, to kick off this lovely little feature, I wanted to share a great starting place for beginning or improving a budget – Dave Ramsey’s Monthly Cash Flow Plan. This is exactly what Dominic and I started with and it was incredibly helpful to view our finances this way. How do you currently budget your monthly expenses? I’d love to hear your tips as we are constantly making changes and updating our game plan! Would you like to write a budget-friendly post to be featured in “A Penny Saved is a Penny Earned”? I’d love to have you guest post! Email me your idea at thatmamagretchen at gmail dot com. I love this! Can't wait. We have been working on our debt for a while. We are car debt free now and have paid off my student loans finally last month. Using modified versions of D. Ramsey's plan – we are terrible with carrying cash. Our mortgage and Michael's loans are left. We have a lot to go – his loans are huge… But we are getting closer every month. So excited. Every little bit helps boost you on to the next step! Way to go!!! This is the most realistic budget planner I have ever seen – I think I will use this! It's exactly what we started with … the only update we've made is moving it into an Excel spreadsheet. Happy budgeting! I keep hearing so many great things about Dave Ramsey!Thanks for participating in the NPN Frugal Living Blog Hop on I Thought I Knew Mama!